Suggested by Shaker particolored: "Which embarrassing fashion trend of yesteryear do you secretly wish would come back into vogue?" 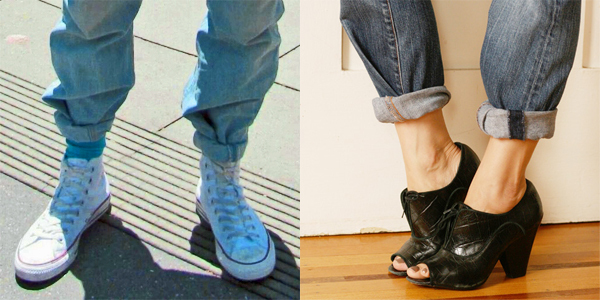 The roll-tucked cuff is coming back. I CAN FEEL IT! You've had your day, skinny jeans!